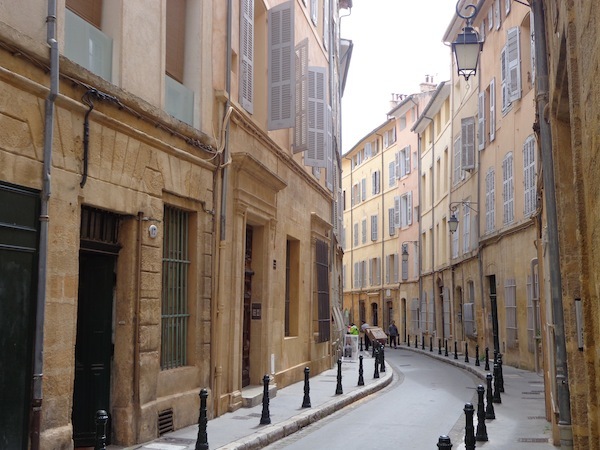 Aix-en-Provence made me want to get lost. 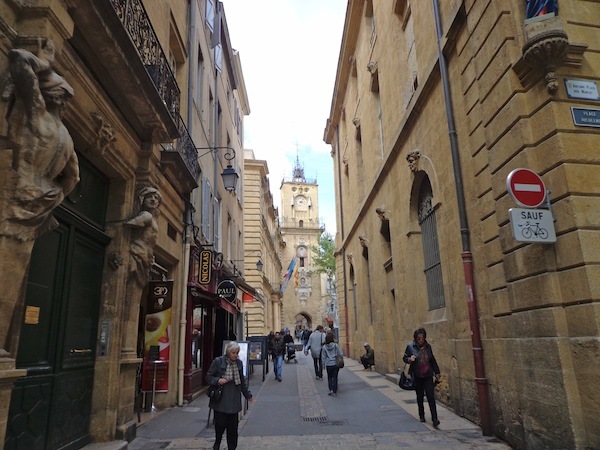 We’d navigated our way to Aix, changing buses in Marseilles. We’d found the tourist information office so we could get directions to a public toilet. Then we’d followed a marked map to the conveniences, which turned out to be one euro-a-go. The mechanics of travel. Not so exciting. No time to be bored, either, when your travel buddy is a two-year-old who is toilet training. 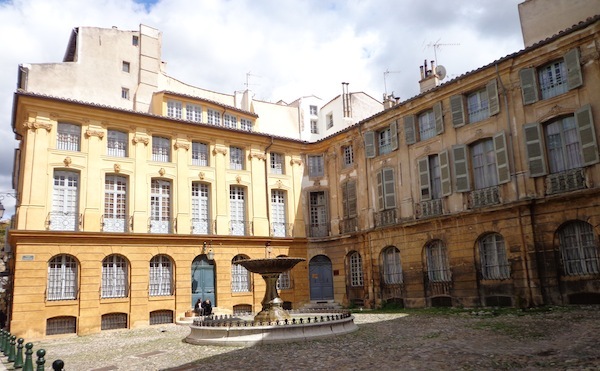 But when we emerged from the toilet, into the invigorating Provencal spring air, with clouds scudding across the sky and terracotta-coloured buildings towering above us, I finally felt it. The allure of exploring a new place. 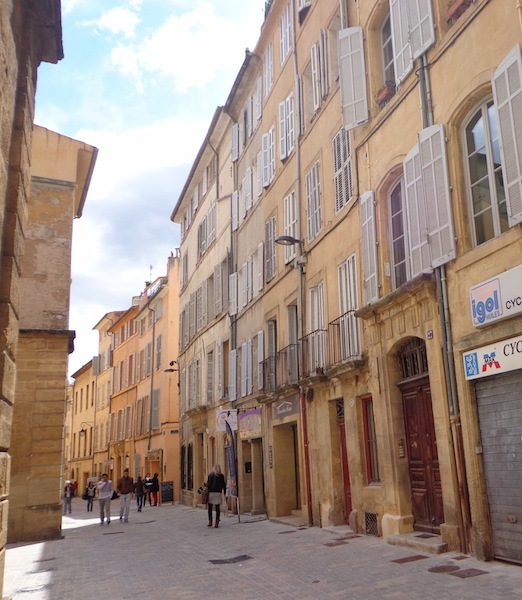 I just wanted to get lost in this pretty little French town. I stowed the map and we followed the call. We found moody dilapidated squares. We found piazzas full of outdoor cafes. We found lanes full of fancy shops. We found lanes leading to clock towers. Oh, when you are lost in a village as pretty as this, why would ever want to get found? 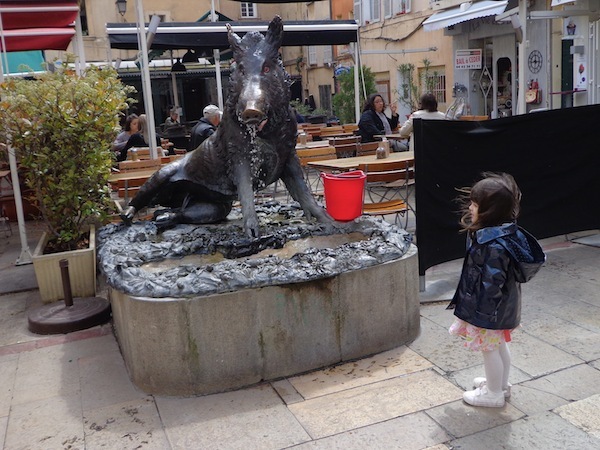 When I finally retrieved the map from under Miss M’s stroller to find our way back to the bus stop, I was determined to return to Aix. And next time, I told myself, we’ll do more than just walk and take photos. 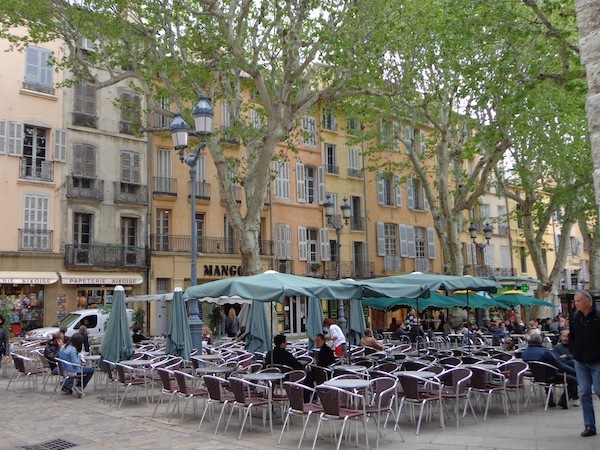 We’ll poke around the shops and we’ll sit down at an outdoor cafe and enjoy some fine Provencal fare. 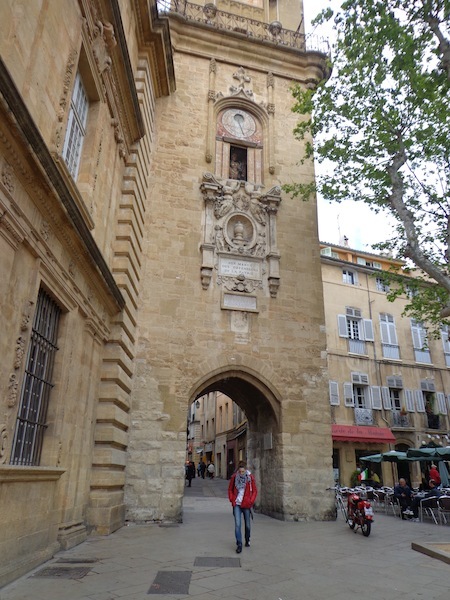 A couple of girls getting lost in Aix — and enjoying it. A sign that maybe I didn’t have to give up on my dream holiday just because Darling Man can’t join us. Still too early to decide, though. 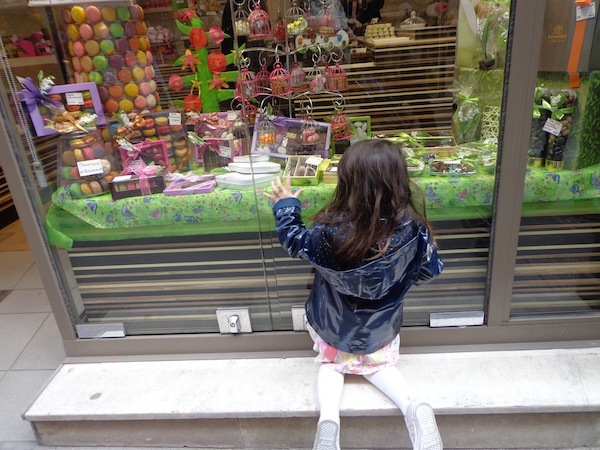 We had planned on spending a month getting lost in Provence. Days like this are what I love about slow travel. i love these days, too – what a wonderful wander! 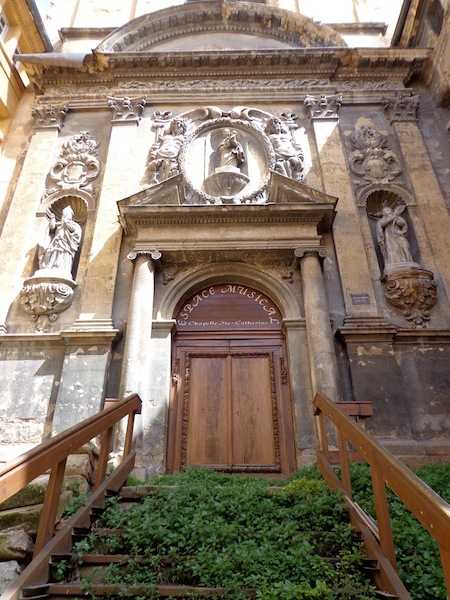 i LOVE that church photo, with the green growing on the steps. Yeah, I have no idea how you actually get up those stairs. I presume there’s a side door somewhere. Oh, harsh, Ayngelina. I thought I was doing well taking photos while in charge of a toddler. Taking food photos (or even sitting down to eat) was a bit beyond my skills on this first outing!